Packed with the latest technology, the Nitecore TUP brings 1000 lumens to a tiny pocketable flashlight that can go on your keychain. 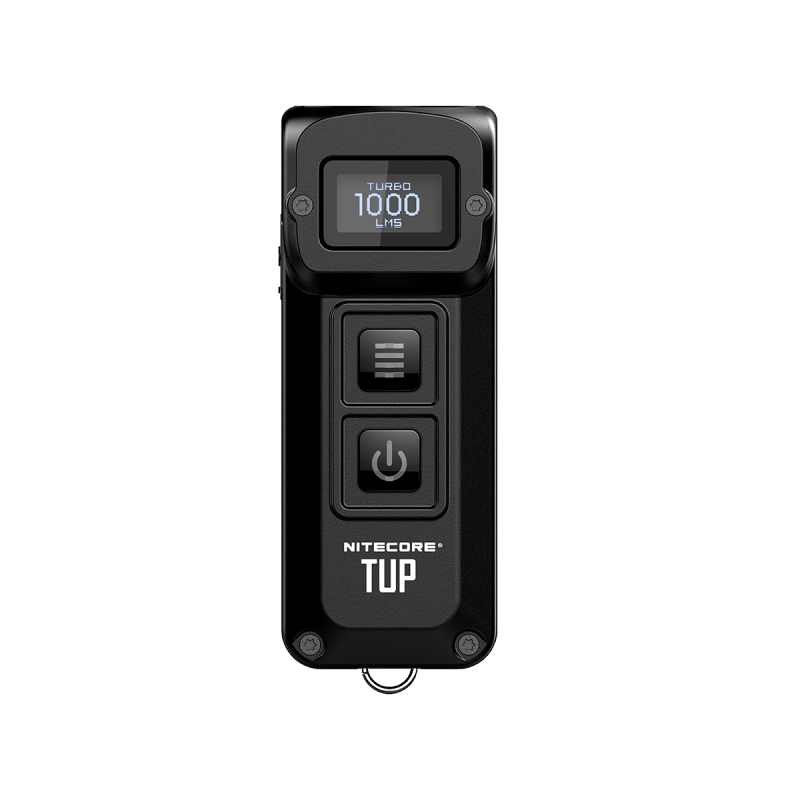 The built-in OLED display shows real time information regarding output, runtime, battery voltage, and more! 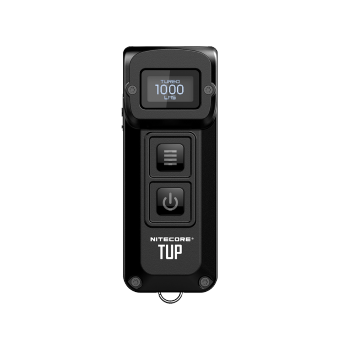 The dual switch system allows for direct access to Turbo and Low while an onboard micro-usb port allows for easy convenient recharging.